Bradford Bulls pair Elliott Minchella, left, and Steven Crossley, with the Yorkshire Cup. Bradford Bulls are the competition’s inaugural victors after beating Batley 14-12 in Sunday’s enthralling Mount Pleasant final. Formed essentially to help create more meaningful pre-season friendlies, the re-invented Yorkshire Cup included fellow Championship clubs Dewsbury Rams, Featherstone Rovers, York City Knights and Halifax plus League One Hunslet and National Conference League champions Hunslet Club Parkside. Played over three successive weekends it has generated interest and earned plenty of plaudits. Of course the original Yorkshire Cup, which ran from 1905 to 1992, included all clubs from the county, something the present incarnation does not. 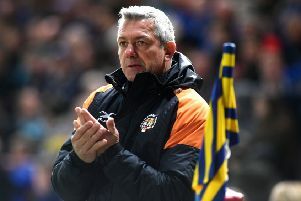 However, Nicholas – who helped form the competition with like-minded club chairmen – has not ruled out increasing the number of entrants in 2020 and potentially seeing if the likes of Leeds Rhinos, Castleford Tigers and Hull FC want to participate in some form. “From our perspective at Batley we’re delighted with how it went,” he told The Yorkshire Post. “It has given us some great games of rugby and people seem taken with the concept. “We haven’t done a debriefing with all the clubs yet or a financial reconciliation, but as far as it goes we think it’s okay financially. “We’re satisfied with Sunday’s gate (2,278), but will wait for that debrief to see where we went well, not so well and where we can go in the future. “We’ve got eight clubs in there at the moment and potentially we could expand it and go up to 16, but we’ll have to see. “We wanted to get everything up and running first and foremost. It avoided us having to organise friendlies and we didn’t particularly want to play a Super League club’s academy side. “We organised it between ourselves and I know our coach Matt Diskin feels he’s got more out of these pre-season games than normal and I think John Kear at Bradford would say the same. Those sides who lost in the first round played a friendly the following week as did the semi-final losers – York and Dewsbury Rams – on Saturday. Clubs agreed beforehand that gate proceeds from all of the fixtures would be divided equally between the eight of them. 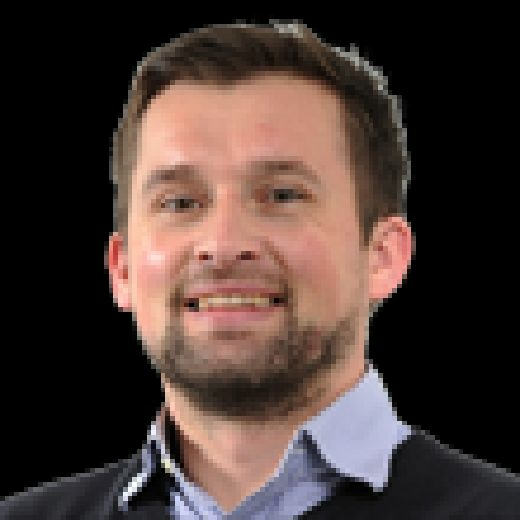 Sheffield Eagles, Doncaster and Keighley Cougars are the other part-time clubs that were not invited to the 2019 competition, but if they were added in with the Super League sides – Wakefield Trinity, Hull KR and Huddersfield Giants being the others – there could be some symmetry with 16 professional clubs. Clearly it would cause some issues logistically as most Super League clubs have their own traditional friendlies pencilled in plus the inevitable testimonial games for long-serving players. Still, the prospect could be explored although Leeds chief executive Gary Hetherington has other concerns. “I think it is typical and a great example of the detailed lack of strategic planning from the game’s governing body,” he said. Hetherington added: “With Sheffield we played the last Yorkshire Cup final (losing against Wakefield in 1992). “We had a real dilemma as we were due to play Australia on the Wednesday before which, of course, you’d never contemplate now. It was a much-loved competition that fitted into the winter schedule, but that’s more than 25 years ago and things move on. “We have to look at how many weekends we get and we have the league and Challenge Cup to fit in so that’s the starting point not your finishing point. “There’s so many other connotations that have a knock-on effect and it (Super League sides playing Yorkshire Cup) should be thrown into the mix with a whole range of other things.